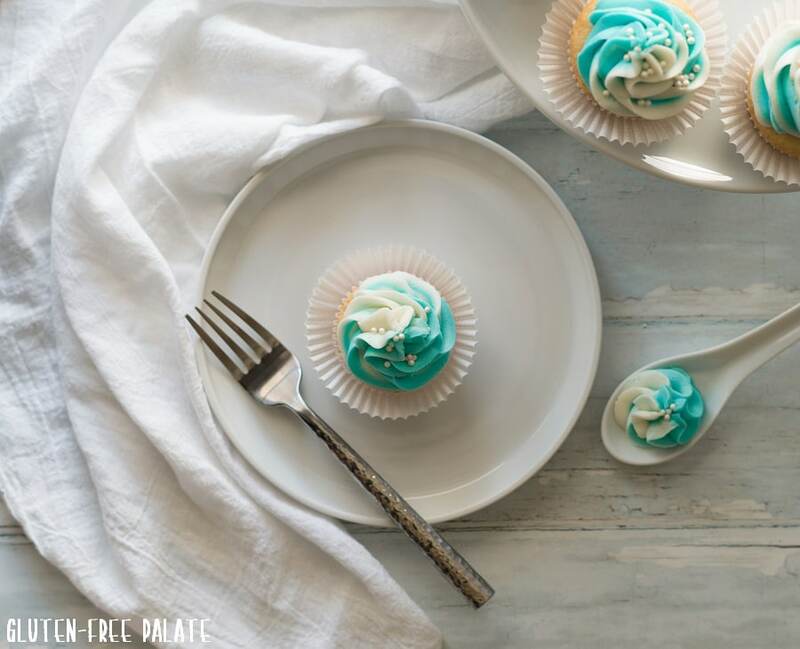 These Gluten-Free Vanilla Cupcakes are dairy-free, simple to make, and lend a bakery style texture and a vanilla bean finish. You can bake up a batch of these perfect cupcakes in no-time. 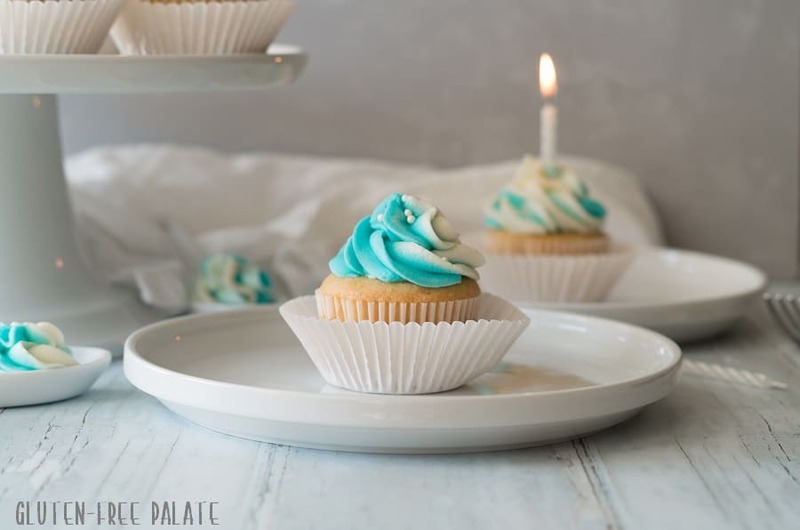 These are seriously the most incredible, better-than-bakery style Gluten-Free Vanilla Cupcakes! They’ve been shared thousands of times and people come back weekly to tell me how amazing they are. I’ve been making these gluten-free cupcakes for years and this is the third time I have redone the photos. I really want you guys to see how lovely they are and be excited about how amazing they taste. Just read the comments below. 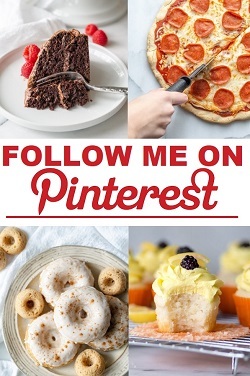 You will fall in love with these cupcakes. Here’s an old photo that I took of these gluten-free cupcakes. You can see how perfect the texture is. I use vanilla bean paste these days, but you can easily use Rodell’s vanilla extract. 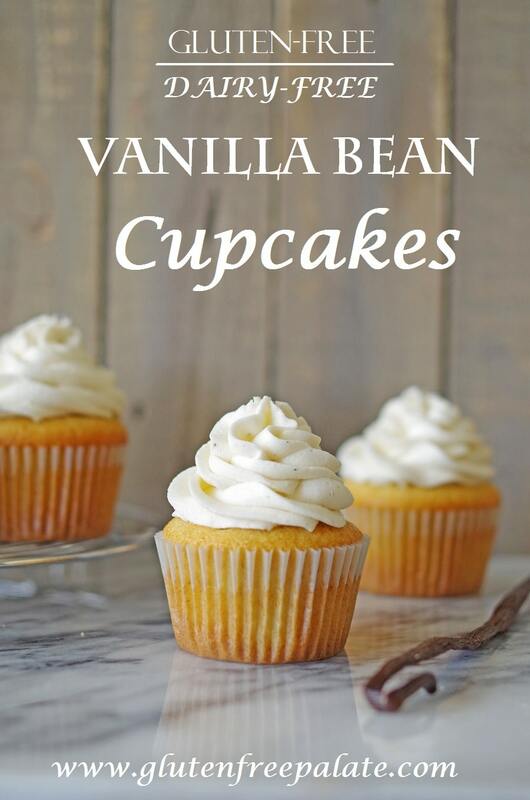 Rodelle Vanilla Paste is my newest favorite item to bake and cook with and that’s why I use it in my vanilla cupcakes. Now that I’ve tried it, I may never go back to extract again. It has such a deep, rich flavor and it’s never too much. I do love Rodelle’s Vanilla Extract, but the paste is dreamy, especially in these Gluten-Free Vanilla Cupcakes. 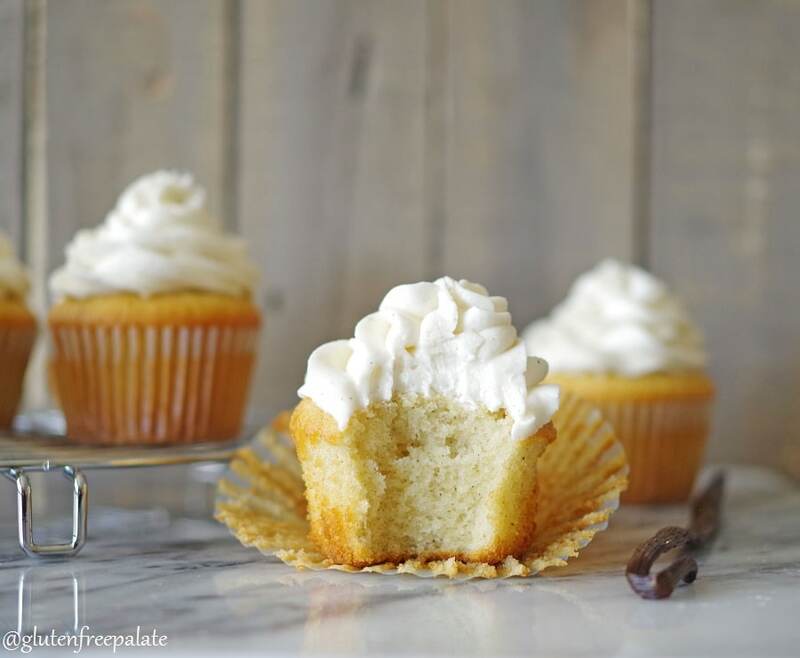 When I first developed this gluten-free cupcake recipe, I used vanilla extract, so please don’t think that you have to use vanilla bean paste. Extract lends a lovely flavor too. I have been working on perfecting my gluten-free vanilla cupcake recipe since 2010. It’s not that it’s a complicated recipe or anything. I usually work on new recipes, not improving old ones. My old gluten-free cupcake recipe was fine but I wanted a better texture. I wanted it to be fluffy and crumbly at the same time. I made these Gluten-Free Vanilla Cupcakes a couple of times in January for one of my daughters birthday’s. Finally the last time I made them I found the right amount of ingredients to get the exact flavor and texture that I had been dreaming about. From frosting to cake, they are now perfect. They’re buttery (even though dairy-free), tender, crumbly, and have the perfect amount of vanilla. And guess what? 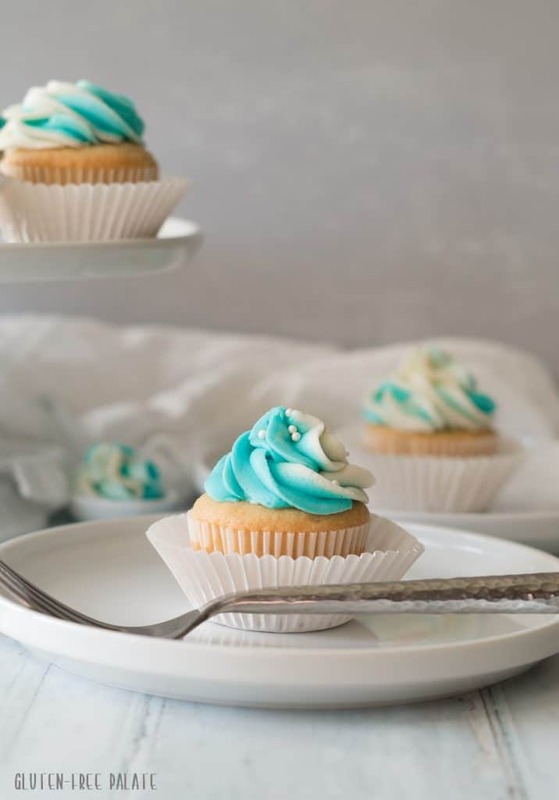 These gluten-free vanilla cupcakes only cost about $5 to make. Can you imagine what you’d pay at a bakery for these? They are easy and you can make them yourself. Second, you want to mix at the right time and not over-mix. 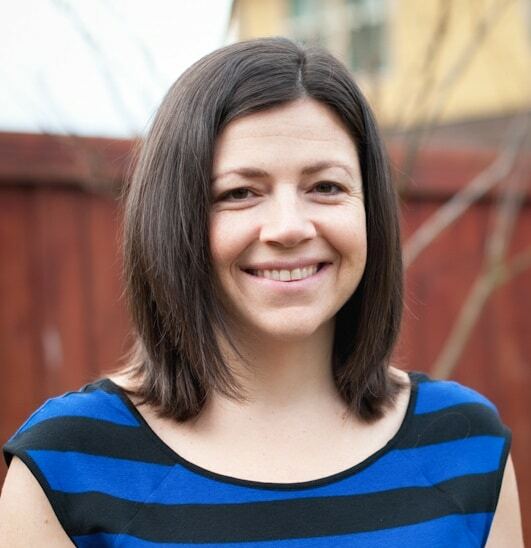 When you are beating the oil, sugar, and eggs you’ll want to beat it for the time listed. This adds air which in turn helps the cupcakes rise. Once you add your flour mixture, you’ll only want to beat until combined. Beating any longer will cause the batter to stiffen. Why did my cupcakes explode? First off, you may have overfilled the cupcake wells. Never fill more then 3/4 of the way full, and it’s best to stick to around 2/3’s of the way full. I use a 1/4 measuring cup to fill mine. Another reason could be that you added too much leavening agent, or that you are at higher elevation. Baking powder tends to work twice as hard at higher elevations. Consider cutting your baking powder in half if you are at a higher elevation. 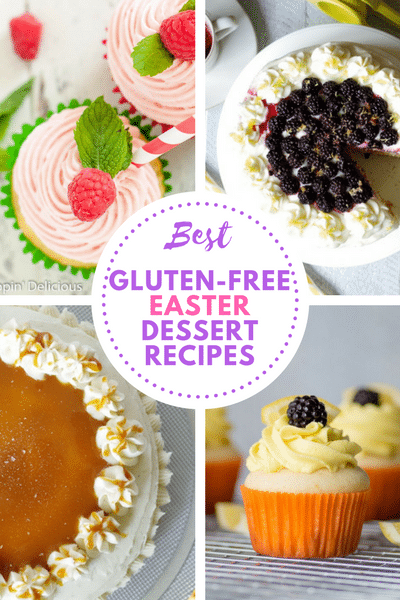 All those tips are relevant to most cupcake recipes, not just these Gluten-Free Vanilla Cupcakes. Why did my cupcakes sink? There are several reason why cupcakes sink, one is from over beating the batter and adding too much air. Also, cupcakes often will sink when there is too much moisture. This is more common in humid climates where added moisture can collect naturally in ingredients such as flour. When this occurs, cupcakes may rise rapidly and then fall during baking. In higher elevations, the leavening agent works twice as hard and may cause the batter to rise rapidly and sink before it’s had a chance to set up. If you like these Gluten-Free Vanilla Cupcakes, you might also like my Gluten-Free Chocolate Cupcakes. They are simple to make and bursting with chocolate flavor. I’ve also recently updated the photos for my Gluten-Free Lemon Cupcakes. If you’re a lemon fan, you’re going to love them. 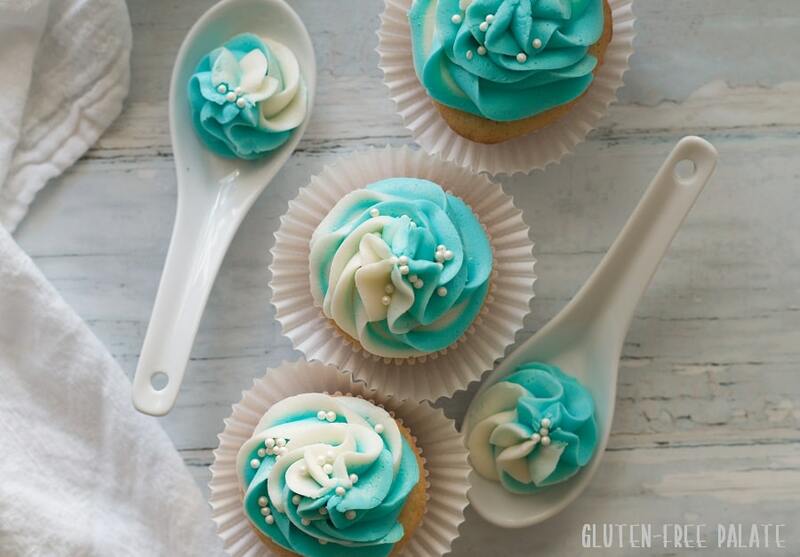 Did you make these gluten-free vanilla cupcakes? Stop back by and let me know what you thought. For the cupcakes: Preheat oven to 350°F (180°C). Position rack in center of oven. Line cupcake pan with paper liners; set aside. In a medium mixing bowl combine oil and sugar. Add eggs and beat with an electric mixer at medium speed for one minute. Add flour, salt, baking powder, dairy-free milk, and vanilla paste; beat at medium speed for one minute. Spoon batter evenly into cupcake liners. Bake for 18-20 minutes or until the centers springs back when touched and cupcakes are very lightly browned. Let cool in the pan on rack for five minutes. Remove cupcakes from pan onto rack and cool completely before frosting. For the frosting: In a medium mixing bowl, beat together dairy-free butter and vanilla paste until smooth and creamy. Delicious! They were a huge hit. I used grapeseat oil instead of vegetable. Also made the frosting with diary. Would definitely make this again! Do you know if you can freeze the cupcakes after you bake them? Thanks! Yes, you can freeze them. I typically freeze them without the frosting. When I am ready to use them I bring them to room temperature and then frost them. I have an autistic child and we ha e him on a gluten free and casein free diet. Its so dificult to find things that he likes and when I made this cupcakes and we all sit to eat them with him he was delighted. So, thanks for a great recipe I will be making these a lot. This comment makes my heart so happy. Thank you for letting me know. I am so glad that your family loves these cupcakes. Excellent recipe and great texture. My family loved them and they were still delicious the next day. Thank you for a great recipe. I even shared it with friends. Thank you for stopping back by to let me know you loved these cupcakes! Is it OK to use real butter and milk? Also, how do these hold up? I’m planning an outdoor birthday party, and they may sit outside in 80 degree heat for a couple of hours. thanks. You can use regular butter and milk in the frosting 🙂 The cupcakes would hold up fine but the frosting might be a bit soft. Could this recipe be used for a cake? I’ve made them as cupcakes plenty of times and they’re amazing, but I’m making a cake and don’t think I could possibly find a recipe as good as this. Funny you should ask 🙂 I am publishing the cake version this Sunday! And thank you for the compliment! It’s really moist and stay the same the next day. My boys love it. 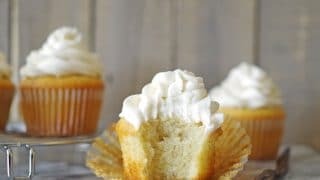 Looking for gf cupcake recipe for my son’s birthday next month. And found one! Thank you!! I am so glad your boys loved these cupcakes 🙂 Thank you for letting me know. Can I use a vegan egg? Cause the recipe sounds like it could work for my gluten free dad and my vegan neice. I haven’t worked with a vegan egg in this recipe yet. It’s on my list to test. So glad you like it! Thank you for stopping by.